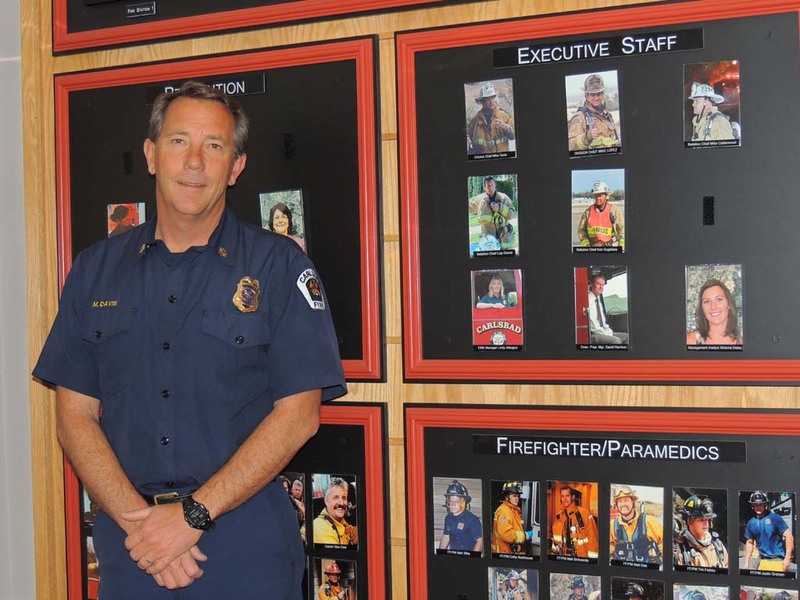 CARLSBAD — It took Mike Davis 23 years in the Carlsbad Fire Department to move up the ranks from a new hire firefighter/paramedic to division chief. Yet it only took three months for Davis to make his final leap from division chief to interim fire chief, and then to official fire chief. He began working for the Carlsbad Fire Department in April 1990 and has served as interim chief since last November. 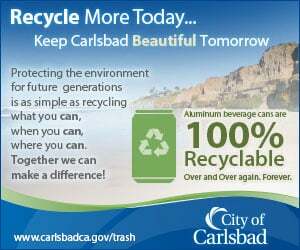 At that time, then-Chief Kevin Crawford was selected to be Carlsbad’s interim city manager after the former city manager John Coates left his position unexpectedly. Crawford, who served as chief since 2002, recently announced that he would be leaving the city for a position with the United Way of San Diego County after a new city manager is hired. Davis was promoted on Jan. 13 to take the position full time. Though he’s still waiting for Crawford to move his personal things out of the chief’s office, Davis has hit the ground running in his new position thanks to his decades of preparation in the department. Just last month, he helped the Carlsbad Fire Department sign on to participate in the state’s community paramedicine pilot program. The program trains paramedics to help citizens navigate the local health care system to find out which medical resources best meet their immediate needs. Davis explained that in some cases transporting a patient to the closest emergency room isn’t always the best answer. Some injuries can be better treated by nearby primary care or urgent care, while in some instances the closest emergency room many not have the medical resources needed to treat the patient at hand. The program is designed to help increase communication between paramedics and medical centers so patients can be transported or sent to the best care facility in the quickest amount of time. Plus it will decrease the number of non-emergencies, like cuts in need of stitches, from clogging emergency rooms. Davis said that on Jan. 14, Carlsbad paramedics responded to a citizen who was having a heart attack. The paramedics were able to assess the patient on scene to discover that he needed a stent surgically placed in his heart. Thanks to the community paramedicine training, the paramedics called Tri-City Hospital to have them prepare for the surgery as they transported the patient. Because of this communication, the stent was placed in the patient just 58 minutes after he called 911. “This changes people’s lives and outcomes, and that’s good medicine,” Davis said. But like any new leader, he said his immediate tasks include staff development with the help of his two new division chiefs. “We’re smart enough to know there’s a lot we don’t know,” he said, adding that he thinks he’s ready for the task of taking over as the new chief. Davis surfs and lives in Carlsbad with his wife and two teenage daughters, who are students at Carlsbad High School.